Jennifer Lott was born in Hamilton Ontario, Canada on September 5, 1987. She might have been doomed, even then, to become a writer. Her parents nurtured a love of books and storytelling, yes, but her mother and grandfather on her father’s side were also both authors of science fiction. 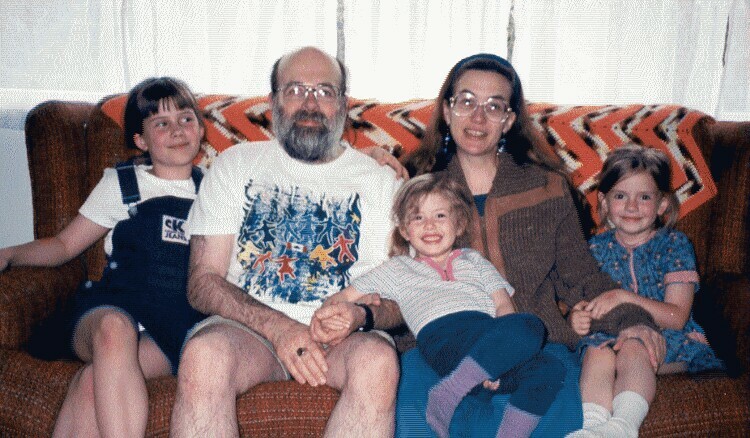 In 1989, Jennifer moved to Prince George, British Columbia to keep dad busy while mom was working. She attended Montessori preschool and matured quickly into responsible big sister material. This was lucky, as dad needed big sister help with the arrival of Angela in 1992 and Tegan in 1994. Edel, Prince George’s chief librarian, and her husband Rick became the Lott girls’ second set of parents. Spoiled, right? And they even had one local grandma (dad’s side of the family lived in England). Jennifer’s first creative discovery was speech arts. At age six, she started taking speech arts classes with Mrs. McGladdery, so she could learn to recite poems by some of her favourite poets like Shel Silverstein, as well as pieces from some of her favourite books like Pipi Longstocking. A couple years later, her school teacher Mrs. Demontigny went to dad to relate that she’d witnessed Jennifer singing on the playground. The advice “put that kid in choir” was acted upon, and so for a decade, Jennifer’s pride and joy became her place in the Bel Canto Children’s Choir under the direction of Gerda Wilson. Jennifer loved Gerda’s choir so much, she later joined the adult CanSing choir which Gerda established in Vancouver. Writing came as a bit of a surprise at the end of high school. This wasn’t to say that Jennifer hadn’t written plenty of poems, songs and stories throughout childhood. Like singing, writing was a creative hobby her parents fearlessly encouraged. What was there to fear, when all her life she promised she would become an Elementary school teacher? It wasn’t until reading K.A. Applegate’s conclusion to the children’s science fiction series “Animorphs” that the writing bug really set in. Jennifer hated the ending to that series so much that she demanded her author-mother rewrite it. Most unreasonably, her mother refused. Lynda Williams was preoccupied with her own novel series and said that Jennifer herself ought to fix the Animorph ending! So really, it was all mom’s fault that Jennifer became an obsessive writer of novels. Coincidentally, it was about this time that Jennifer had her first near-date. That is to say that the boy she’d danced with at graduation sat near her in the school library while she sat typing out Animorph chapters during her spare block. She found it very awkward that the boy tried to talk to her while her head was busy writing, so her first potential date did not pan out. Before she was quite finished with Animorphs, she gave her parents probably the first major decision scare she’d ever given them by dropping out of University in her second semester. Textbooks became the enemy. In the blink of an eye, it seemed, Jennifer went from being a dedicated honours student to someone who viewed school as a pointless, time-sucking endeavor that robbed her of her next great works of fiction. Still being most wonderful – if nervous – parents, David and Lynda let Jennifer live rent-free in the basement working part-time at Arby’s while she figured things out. She figured out quickly that her first all-original novel “Drescopata” plus endless queries to literary agents did not an independently wealthy writer make. 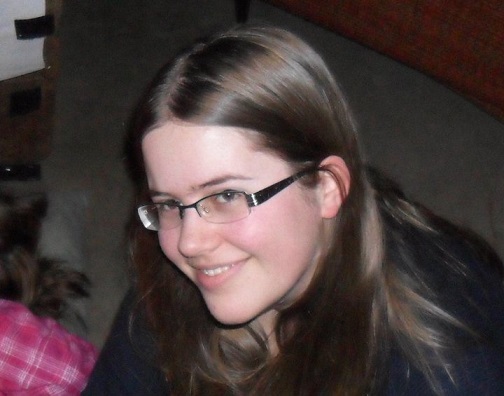 Hit with living-at-home-and-working-at-Tim-Hortons fear by age twenty, Jennifer was rescued by her childhood friend Brianna who was living with her boyfriend in Abbotsford and needed a roommate. For three years, Jennifer enjoyed the bohemian lifestyle with the web designing and computer programming couple, who worked from home a great deal of the time and didn’t believe in the four-year-degree route any more than she did. Jennifer and her roommates moved to Surrey together and then to Vancouver. Edel and Rick, who had moved to Vancouver’s neighbouring city Burnaby years before, had Jennifer over for dinner every Sunday. This was a welcome retreat from what became a financially brave and stubborn way for her to pursue her writing ambitions. She lived off savings for the first six months with her roommates and then worked many on-call and temporary jobs. This included being an Extra for movies, and cleaning for restoration companies. Her first story published was “A Day in the Life” – a D&D parody inspired by board game nights with her geeky roommates. It wasn’t until one fateful forty-hour work week scrubbing flood-damaged floors and soot-stained walls that Jennifer decided to go back to school. Eleven months of school that would lead directly into a reliable and even enjoyable day job: she got her Early Childhood Education certificate. It was on a weekend between ECE practicums that Jennifer’s roommates most conveniently got a ride home from her future husband. Jason Paul – known by most as JP – was best friends with one of the roommates’ friends, and unbeknownst to Jennifer, he was receiving the nudge from his friend to meet her. Jennifer required excessive nudging from Brianna, first to remember “that man we brought home the other day” and then to believe “he likes you”. As Jennifer had been wondering for a while how one went about getting a real boyfriend (she had a near-boyfriend while she was living in Abbotsford), she decided to e-mail JP a coffee invitation and find out if that was how you got one. Turned out it was. JP won her over with good laughs, sappy romance and home cooked meals. He also impressed her with his artistic creations, which included sketches, paintings and leather masks (he is modest about these in a way Jennifer can never hope to be about her writing). 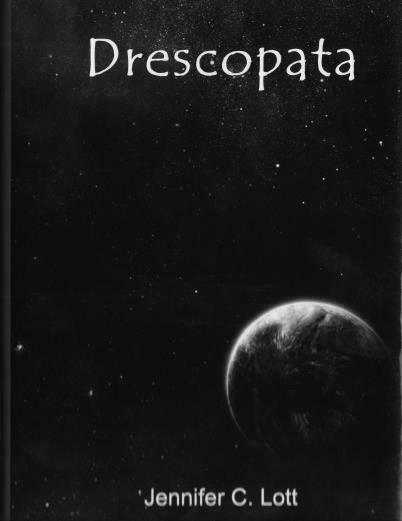 For Christmas, JP gave her an Author Edition of “Drescopata” for which he did the cover art. In September 2011, JP stole her away from her lovable but messy roommates. Living together was a necessary test, but Jennifer knew JP was a keeper when she discovered that writing instead of making herself lunch resulted in lunch being brought to her at her desk. In June 2012, they got married. 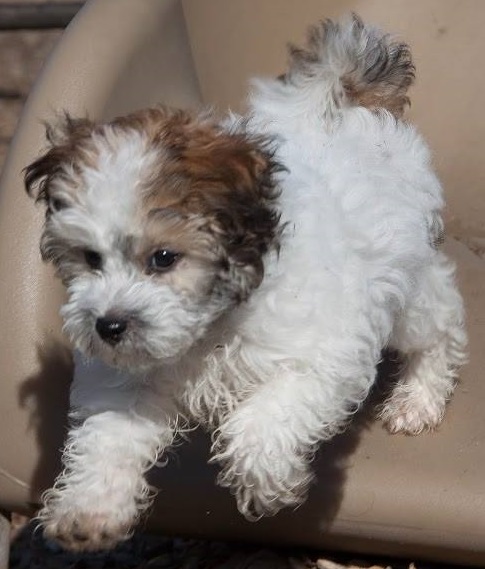 Jennifer and JP now live in Burnaby and have started their family with their .5 child: a puppy named Squire. Jennifer has completed one stand-alone science fiction novel (“Certified Body-Sitter”), and is currently working on the third novel in her “Drescopata” fantasy series. Despite chapter-by-chapter support from family and friends, Jennifer has managed to rein her writer’s ego in short of the obnoxious line. Her fans can only hope that this website does not bring her charming personality to a tragically arrogant end. Your fans know that your basic loving and lovely nature will never let fame and fortune go to your head. Well, except maybe a little bit. Urh, well not entirely. Um, you’ll keep having Xmas dinner with us at Edel’s, right? Great bio Jennifer! I know you’ll always be weaving magical poems and stories!! As you know I’m looking for new and unique lyrics for songs. I look forward to adding a little musical spice to some of your poetry. Love working with you! fun watching you grow Jennifer!